Black-tailed prairie dog (Cynomys ludovicianus), perking up after a nearby alarm call. Despite evidence of their importance to the central plains of North America, these medium-sized rodents of the squirrel family have been severely persecuted over time, even today. As a result, their populations are a mere fraction of their former abundance, which far outnumbered bison during pre-settlement times. 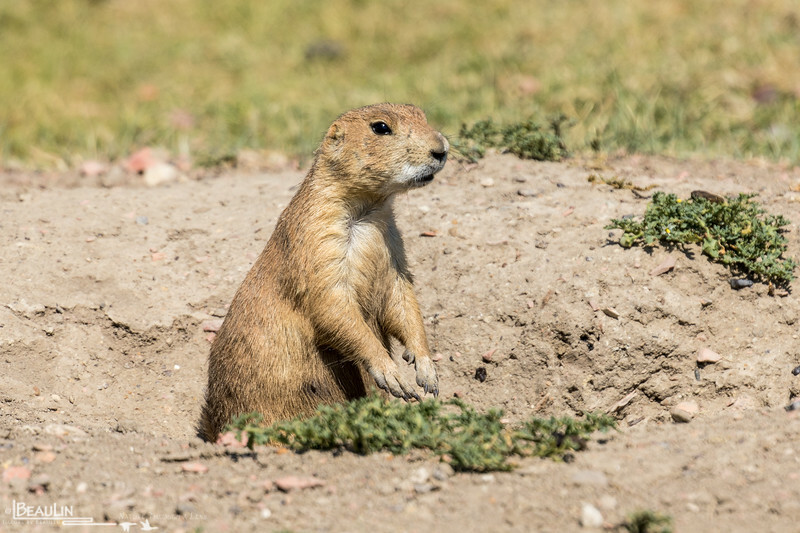 Some prairie dog communities, called towns, once extended for tens of thousands of square miles, containing hundreds of millions of prairie dogs, supporting diverse plant & animal communtiies, including now endangered species such as the black-footed ferret.